BUCHAREST - This three-word slogan catches your eye, in Romania’s capital and beyond: Basarabia e Romania. The name of one state, joined in affirmation with a dormant name from history. (Basarabia, or Bessarabia in English, included the country of Moldova, once a part of Romania before it was taken by the Soviets in the Second World War.) Bessarabia Is Romania. It’s equal parts marketing pitch and battle cry, and you run into it with stuttering frequency: Spray-painted on a bench in Bucharest’s Old City; on a poster in vivid green letters, hanging from a modern apartment balcony behind Calea Victoriei; emblazoned feet-tall in the concrete outside a train station in the Carpathians; screen-printed onto a teenager’s T-shirt. It struck me as odd to see it on the wall of an old residential building in Cluj, the striking architectural gem at the heart of Transylvania, and a city which itself sits inside the borders of Romania against the irredentist impulse of some of its ethnic Hungarian residents -- some of whom hold dual citizenship, attend Hungarian schools, and refer to their city as Kolozsvar. That last juxtaposition -- a printed call for Moldovan-Romanian unity in a stretch of territory actively courted, if not contested, by another neighboring capital -- vividly brings to mind the challenge that faces Romania. The lines of the modern nation-state in this region are superimposed over a very different history -- a history of imperial ambitions that didn’t so much draw strict borders here as they held sway over shifting borderlands. Indeed, the challenge Bucharest has always faced is one that is relevant again as the post-Cold War era fades and geography returns as a central concern in international politics: That of trying to consolidate its own national vision amid the ambitions of competing powers. In the past, some of those powers have been hostile, and strong. In the present, the reality is murkier. Potential allies are offset by probable adversaries. The strength of the one and of the other, and their very durability, is in flux. To visit Romania in 2016 is to see a country at a crossroads once more, though a crossroads of a different kind. It is important to understand where Romania is not right now. It has not yet gone down the path of Poland, a traditionally europhile nation whose current government is challenging some of Brussels’ most cherished norms. Nor is it anywhere near Hungary, whose Prime Minister, Viktor Orban, issued that challenge long ago and a good bit more overtly, and is openly pliant to Kremlin influence. Romania sits outside the routes of migration from the Middle East to the heart of the Continent -- so far, the refugee crisis has not strongly marked national politics. So where is Romania, then? Optimistically, it is a state at work consolidating itself. That starts with cleaning up its internal politics, and with accelerating momentum an attempt to do just that has moved visibly forward. Call it state-building by subtraction: In one single year, the country’s anti-corruption agency handed down a jaw-dropping 1,250 indictments against public officials. Former Prime Minister Victor Ponta was among them, and when his government fell in November 2015 in the aftermath of a tragic nightclub fire in Bucharest, a technocratic government took over on a one-year mandate. That mandate is set to expire later this year, when Romania will head to elections. Between what never happened and what comes now, the European Union has been a mindful steward. It has provided another layer. The EU’s presence is constant, from the Co-operation and Verification Mechanism that Romania has reported to since its accession in 2007, to the shiny new rail, sponsored by EU funds, under construction and running parallel to your own train as you very slowly cross the miles between Brasov and Sighisoara. 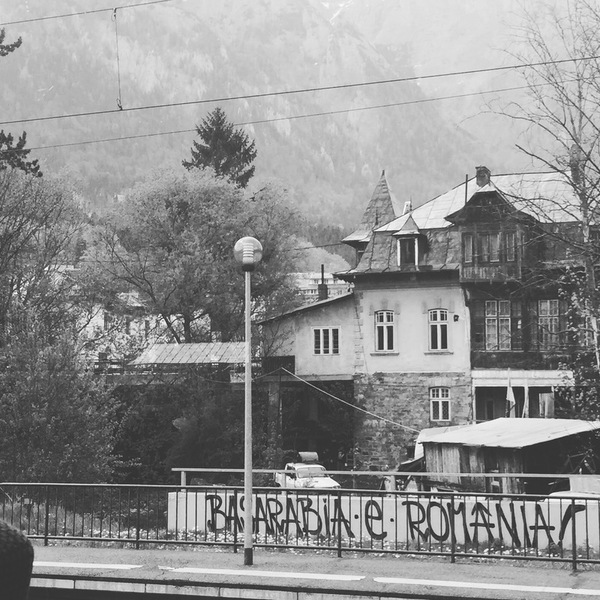 What one senses when talking to Romanians, be it at conferences or around the kitchen table, is twofold: on one hand, a skepticism about whether the country is ready to claim political maturity. Perhaps of deeper concern, there is an increasing nervousness about the evolution of Europe’s crisis right as a familiar foe, Russia, rises to Romania’s east. The echoes of history here are unmistakable. Nicolae Ceausescu consolidated his control of Romania’s communist state in part by using direct opposition to Moscow’s actions after the Soviets crushed the Czechoslovak uprising in 1968. As described by Misha Glenny, the totalitarianism of Romania’s ‘Little Stalin’ stripped the country of institutional know-how, as the dictator’s opponents were marginalized and officials were forced to rotate in and out of functions they barely had time to learn. Bucharest itself is physically scarred by the experience: Ceausescu demolished districts of the city. Among other things, he replaced the wreckage of the old with the Palace of the Parliament, a striking behemoth hewn of arrogance and Transylvanian marble that defies architectural notions of scale and function and still hosts the elected government. If Romania’s path to democracy was delayed, Ceausescu’s actions can be seen as much a reason. If the impulse toward nationalism one sees in Hungary’s Orban and his Polish counterparts is in this country blunted, the visitor suspects that this history may help explain why. Budapest and Warsaw, after all, have memories of a golden age, however faint. Bucharest’s memories are largely of true power’s periphery. Now as Europe awakens to the return of history, history’s darker hues are easier to describe from Bucharest than they are from London and Berlin. The Brexit debate offers a case in point: If Britain pulls out of the European consensus, that increases the diplomatic distance from here to Washington, while increasing the importance and relative weight of Berlin. Caught between a hostile Russia and dependent on a Germany that is amicable but, as an exporting power, economically aggressive, is no geopolitical idyll for Romania. But past does not have to be prelude. Russia is weak, and its belligerence is drawing the increased focus of Romanian allies. Indeed, just before my most recent arrival in this city, the United States launched a new ground-based missile defense system in Romania. The gesture is mostly symbolic, but Romania’s geography, west and south of Ukraine and perched on the Black Sea, makes it increasingly important to U.S. interests. If Romania continues reform, its opportunities to serve as a military pivot could grow -- witness suggestions by Ukrainian leadership that Romania, Ukraine, and Bulgaria could field a joint military brigade. If it parlays lessons learned from its EU tutelage, it could put those to use in its own region, most especially in Moldova, a country outside the EU and with a Russian presence in its breakaway Transdniestria region. The idea of Basarabia e Romania, after all, illustrates how far the latter has come, and implies it is something to aspire to. Questions, comments, contributions? Feel free to send us an email, or reach out on Twitter @joelweickgenant.